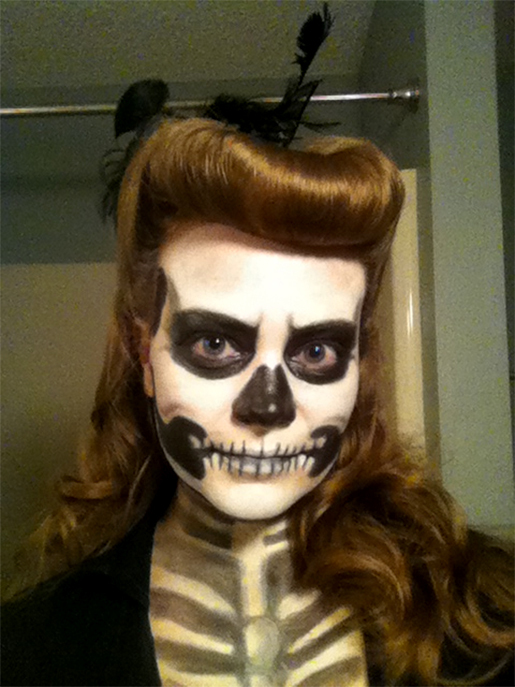 I titled this Halloween costume number 1 because this is my favorite holiday and I cannot do just one costume. I'm actually doing three different costumes this year. This one I did last Friday for a Halloween art show. 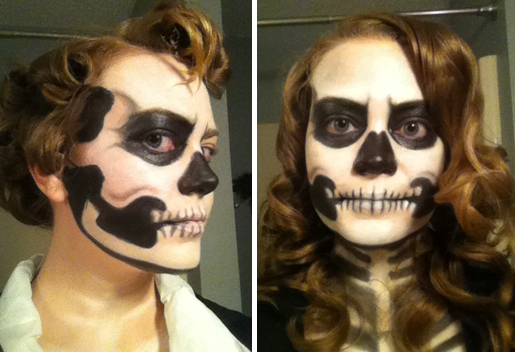 I call it Pinup Skeleton. 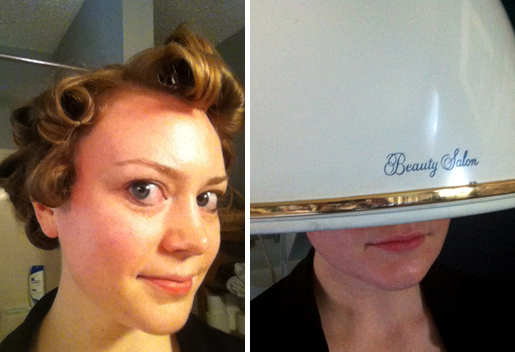 Step 1: Pin curl hair in standing pin curls rolled down. Step 2: Use awesome new (old) hair dryer to set curls for about 20 min. 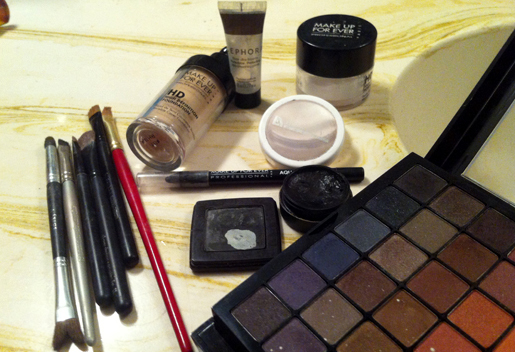 black eyeshadow, and to set it, Makeup Forever HD powder. to highlight all of the areas the stick out, i.e. cheekbones, forehead, chin, bones on chest. out the mouth. 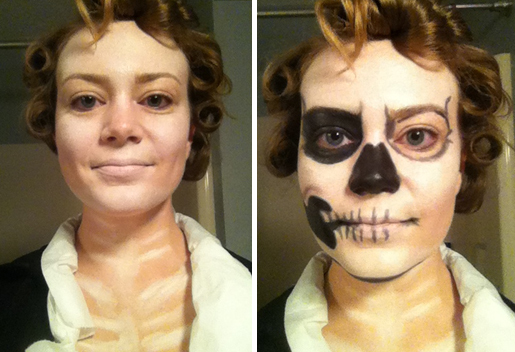 I did one side of the face at a time. where the shapes should go. I then used a brush to blend areas like the temples. areas with black eyeshadow. I let down my curls. I bought in New Orleans as a hair accessory.